Dave Chamberlain is running 50 marathons in 50 days. And it is leading up to the 50th Two Oceans Marathon. But it is all for a good cause. He is raising awareness for BirdLife South Africa. According to BirdLife SA, the colonies along the Atlantic west coast are failing due to a shift in food distribution from the west coast to the south. It is their hope to relocate the colonies through the use of decoy penguin models placed strategically along quiet safe beaches. Chamberlain chats to CapeTalk's Lester Kiewit about the environmental causes like this that inspire him. It's 56 kms a day. He has been running in aid of similar projects for the past 7 years and so has some experience of this gruelling schedule. So I have a history of slowly having built up my body and the psychology behind it. 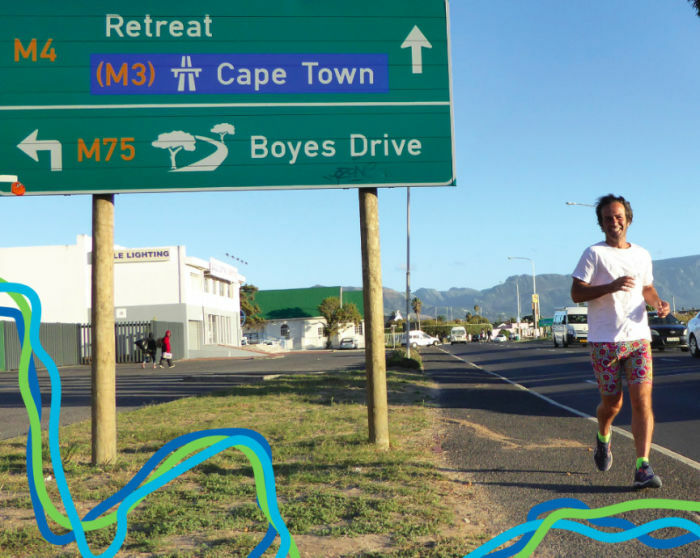 He has been running the Two Oceans Route. And as for his running shoes? He's on his fifth pair so far. I burn through a pair every ten days. One man has sought to prevent these penguins dying out with the possible use of in vitro fertilisation (IVF). The town has created special pedestrian crossings with African Penguins painted across them, in an effort to draw in more tourism. Penguin conservationist Dr Lauren Waller says that more half of the world's various penguin species are under threat.